Queen + Adam Lambert will perform in London on New Year's Eve (31.12.14). The 'We Will Rock You' hitmakers are thrilled to be presenting some of their most famous hits at a special show close to Big Ben, both before and after the iconic clock strikes midnight to signal the turning of the year. Roger Taylor said: "I never imagined we would be around to usher in the year of 2015, what a thrill! We promise you a great night." Brian May added: "OK - Let's Rock into 2015!" And Adam has promised the group - whose original frontman Freddie Mercury died in 1991 - will "kick off" the new year "in style". He said: "Words can't describe how excited I am, we are going to kick off 2015 in style!" 'Queen + Adam Lambert Rock Big Ben Live' will broadcast live on BBC One in the UK and will take place in the build-up to midnight, before continuing after the famous fireworks display along the River Thames. Charlotte Moore, Controller of BBC One, said: "BBC One will be kicking off 2015 in spectacular style with an exclusive live concert from rock legends Queen and Adam Lambert, I hope you join us for a night to remember!" Tickets for the special show go on sale tomorrow (02.12.14). 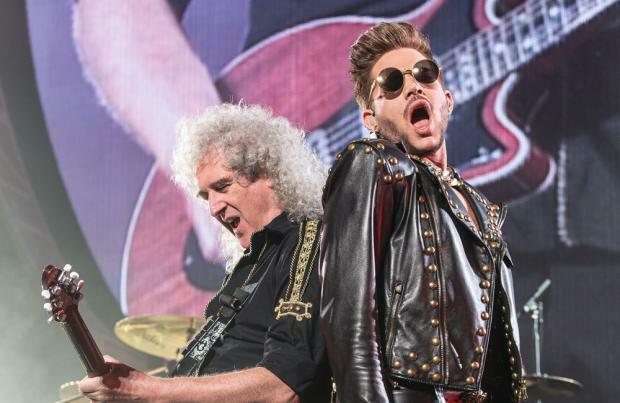 Having completed their sold out world tour the critically acclaimed partnership of Queen guitarist Brian May, drummer Roger Taylor and new vocalist Adam Lambert (American Idol/Glee) embark on a series of European dates.